I recently came across this article on Agarwood Trees which is a Must Read. It not just promotes a business but also spreads the word about a cause that the whole world should be indeed worried about! Global warming due to excessive cutting of trees and how your investing in an Agarwood Tree can help Nature and humanity alike. One might wonder how can a social network such as LinkedIn.com help in saving trees…but sure enough, it does, as is evident from this article. Immediate exposure to all your LinkedIn connections: The moment you publish an article on LinkedIn Pulse, it appears as a notification to all of your connections. This feature is so awesome that overnight you get a minimum of 20+ views to your article and of course, when more people endorse it, better the exposure. Excellent response when posted on Wall as an update: Along with publishing an article on LinkedIn Pulse, when you also post an update on your wall, the exposure is simply great. Your friends and colleagues can like it, comment about it and also exchange views. Lead Generation for your business: Needless to say, when you publish an article and post your business links along with it, you are also directly and indirectly inviting entrepreneurs and customers to tie up with you professionally. You earn fame, success and leads the right way, all free of cost! Friends and connections from all over the world: Although LinkedIn.com is seen as a professional network as compared to Facebook and Twitter, this is also a great place to make new friends, build new bonds and relationships that go beyond just work! When you publish on LinkedIn Pulse, the exposure is 100% more than when you don’t. Opportunity to become an Influencer or to get featured on LinkedIn.com: This may be a rare but highly valuable opportunity for those who write consistently. LinkedIn Pulse team are always on the watch-out for great writers, influencers and idea makers who can change the world with words and thoughts. So here is a great reason why you MUST utilize LinkedIn Pulse to its fullest. LinkedIn Pulse is available as an app for IPhone, Android users etc. and is accessible from your desktops and laptops. What more can you expect from a professional platform that highlights you and your business to its best! Need LinkedIn Pulse publishing services? Contact us on whatsapp no. +918608657782 or email to customer@golinked.in for details. 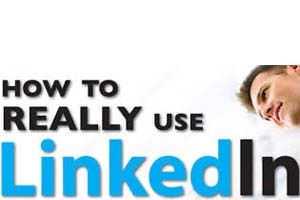 ⟵How to manage your LinkedIn connections successfully?